Shrimp has to be one of my all-time favorite seafood’s. It’s something I can prepare the same way over and over, and never get tired of. But that doesn’t mean I don’t like to change things up a bit. 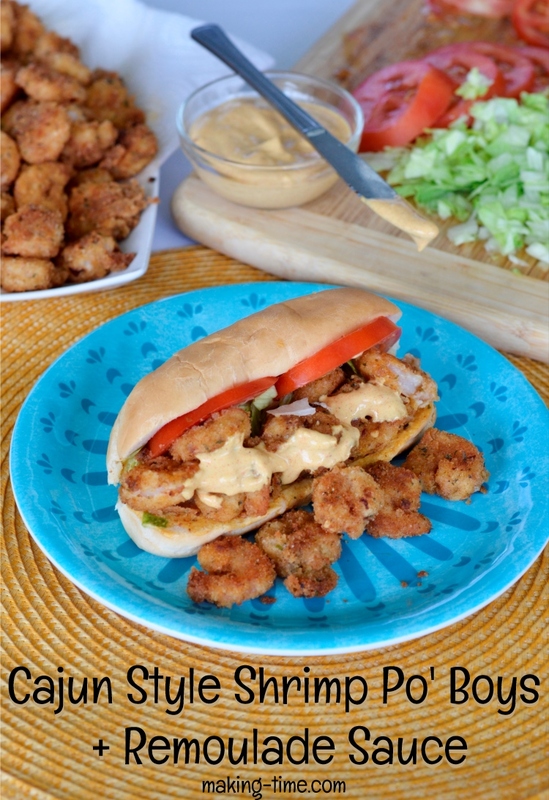 And that’s exactly what I did with these homemade Cajun Style Shrimp Po’ Boys. I even put together a homemade Remoulade Sauce to go with them. I just have to tell you that even my toddler enjoyed how the shrimp are prepared for this dish. 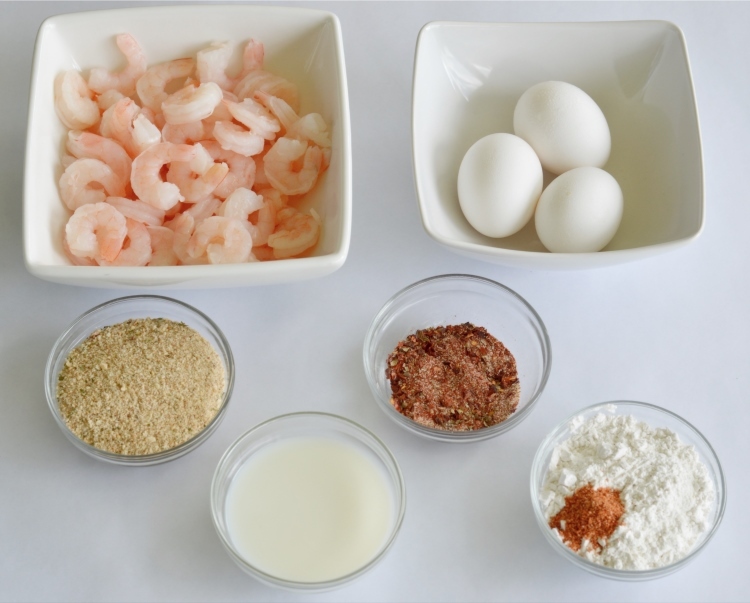 Creole seasoning, along with a few other ingredients, give the shrimp a nice Cajun style kick, but even with the hint of spiciness, my daughter kept coming back for more. I honestly didn’t think she’d be interested, so I was pleasantly surprised after she ate one and then came back asking for another. Aside from the scrumptious shrimp, my favorite thing about this dish is the remoulade sauce. Not only does it tie the whole dish together for me, but I use the sauce on other things too. Just last week I used some leftover remoulade sauce on a homemade breakfast burrito that had eggs, cheese, and bacon. Ya’ll…it was SO good! 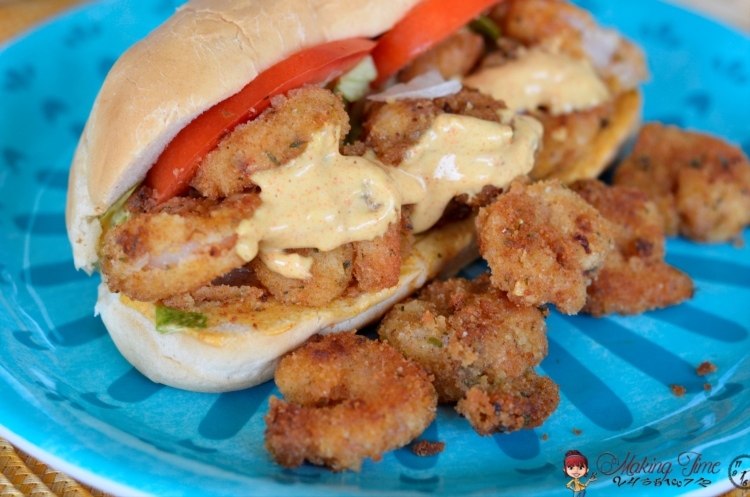 So enough about how scrumdiddlyumptious these Shrimp Po’ Boys are. Let’s make them! Obviously, you can’t have a Shrimp Po’ Boy without shrimp, so that’s where I start. I use 2, 12 oz. 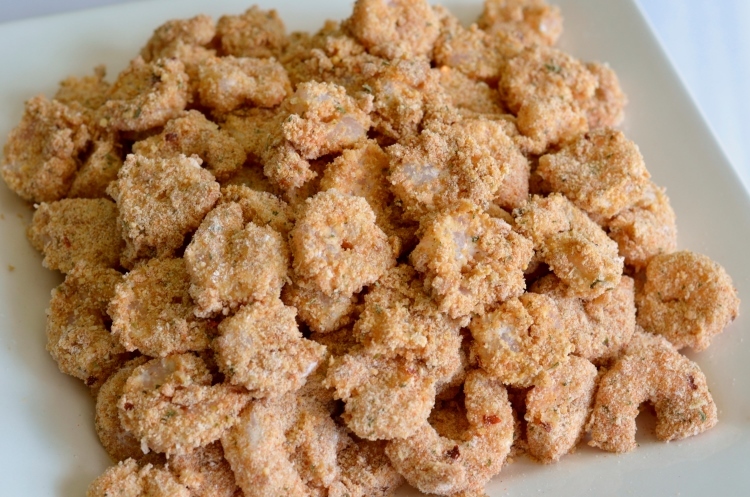 packages of frozen shrimp, thawed out, de-tailed, and breaded in a combination of a few different things. 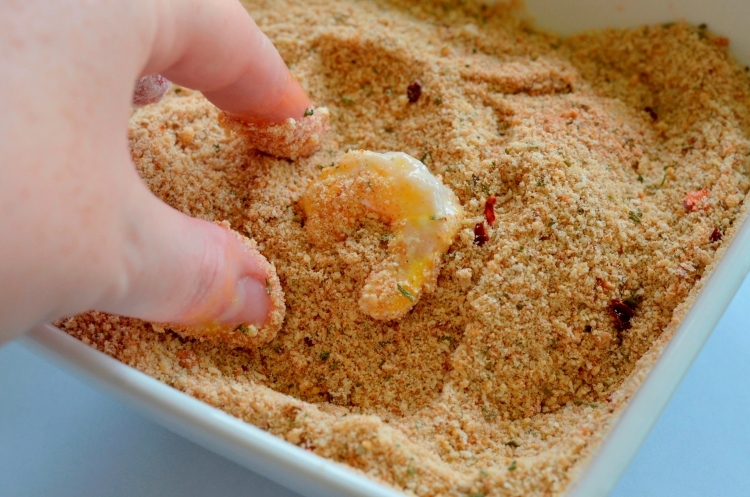 The shrimp first gets dredged in a mixture of flour, Creole seasoning, salt, and pepper. 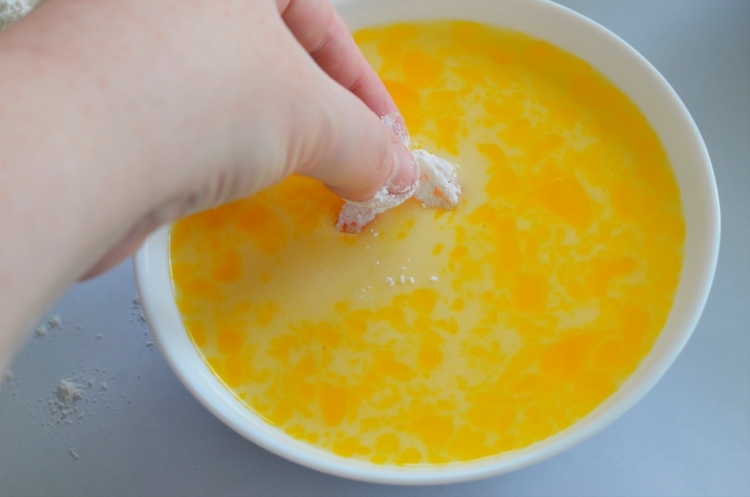 Then completely dipped in a whisked mixture of eggs and milk. And lastly, coated in a mixture of bread crumbs, red pepper flakes, garlic powder, paprika, dried oregano, and onion powder. Hello, flavor! Once I get a nice big mountain of Cajun flavored shrimp, I fry them in a preheated pan of vegetable oil for about 2-3 minutes per side. 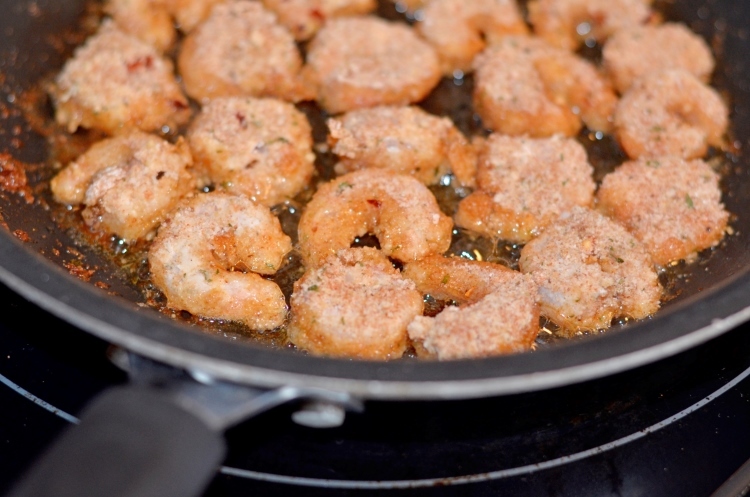 When frying in a pan, this process takes a little longer because you have to pay special attention to each and every shrimp, flipping them one by one to ensure each gets cooked. So if you have a deep fryer, by all means, save some time and deep fry the shrimp. As the shrimp come out of the pan, I place them in a paper towel lined bowl to soak up any excess oil. Then I set them aside and make the remoulade sauce, which really can’t get any easier. In a bowl just mix some mayonnaise, yellow mustard, paprika, Creole seasoning, horseradish sauce, dill pickle juice, hot sauce, and fresh minced garlic. 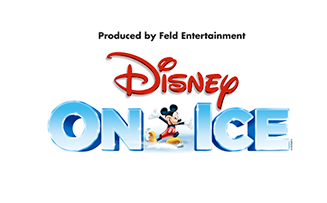 Now for the magic. On a deli or hoagie roll, I add a little bit of shredded lettuce, slices of tomato, the shrimp, and then top it with remoulade sauce. Then I dig in! 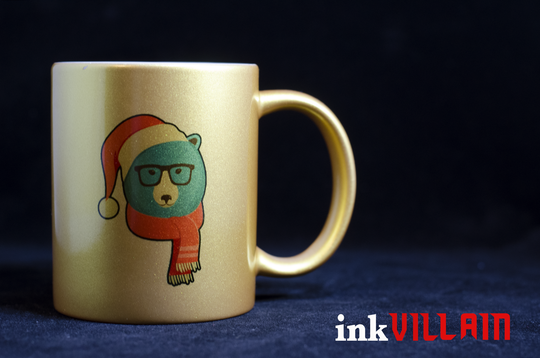 Mmmmmm…mmmmmm…mmmmmm! Delish! 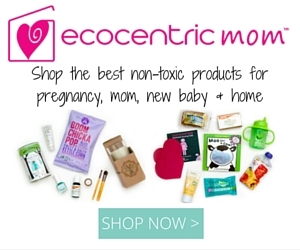 Calling all shrimp lovers! 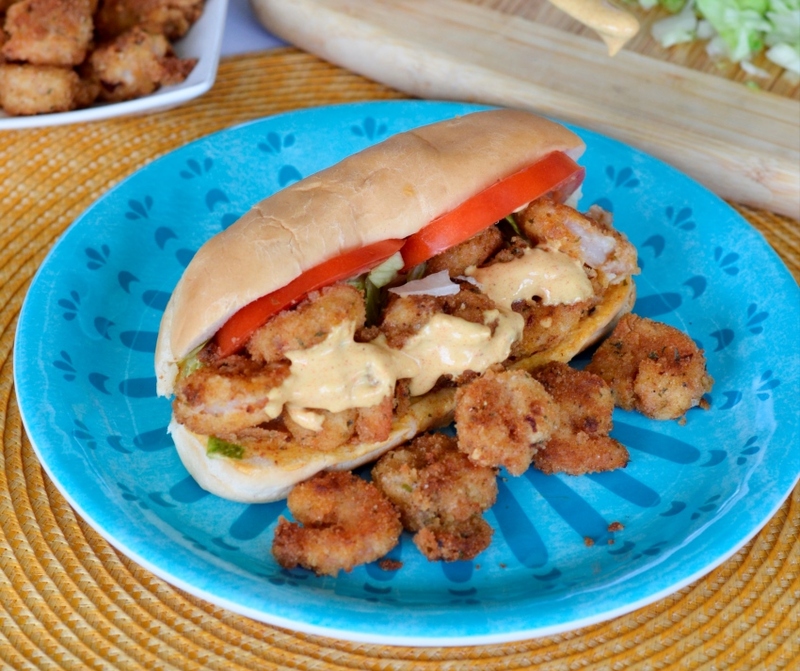 These Cajun Style Shrimp Po' Boys have the perfect Creole kick to make your taste buds sing. Thaw and de-tail the shrimp. Set aside. In a bowl, mix the flour, Creole seasoning, salt, and pepper. Set aside. 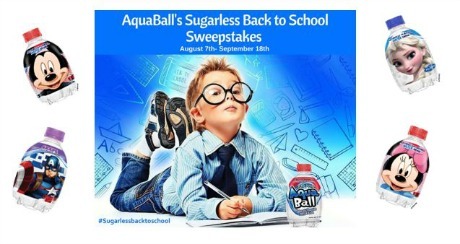 In another bowl, whisk the eggs and milk. Set aside. In a third bowl, mix the remaining ingredients - bread crumbs, red pepper flakes, garlic powder, paprika, dried oregano, and onion powder. 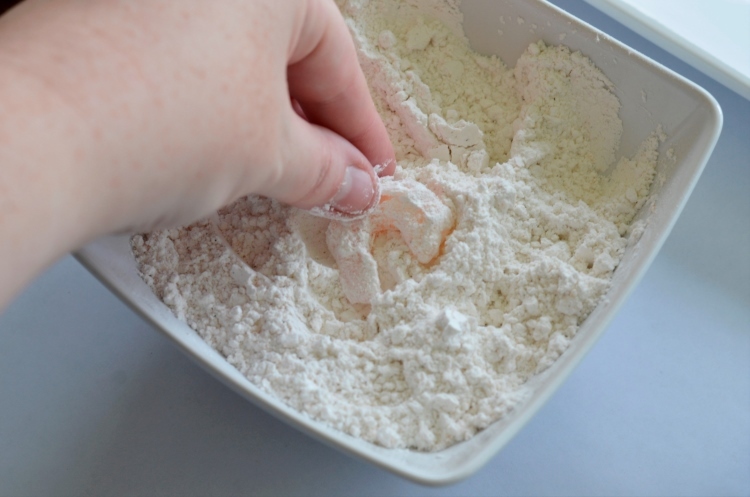 Coat all shrimp by first dredging in the flour mixture. 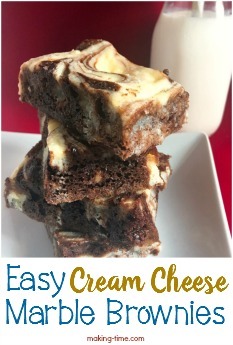 Shake off any excess and then dip in the egg mixture. Lastly, dredge in the bread crumb mixture, ensuring a full coating and shaking off any excess. 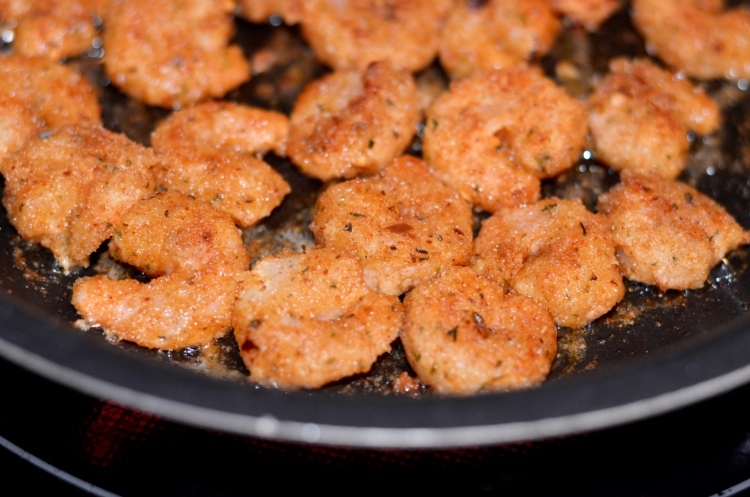 In a preheated pan of vegetable oil, fry each shrimp 2-3 minutes on each side. 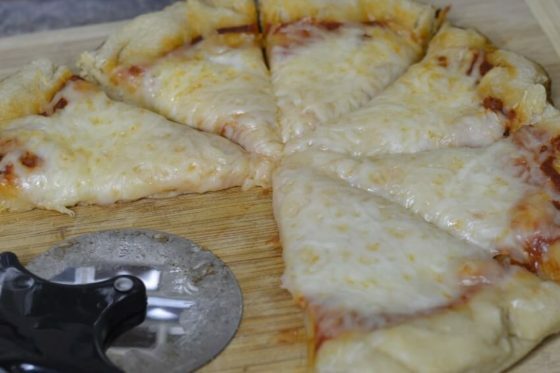 Remove from the pan and set on a plate lined with a paper towel to soak up the excess oil. Make the Remoulade Sauce by mixing all ingredients together, ensuring everything incorporates well. Enjoy the shrimp on a deli or hoagie roll, along with your favorite fixings and homemade remoulade sauce. Reduce cook time by using a deep fryer instead of pan frying. 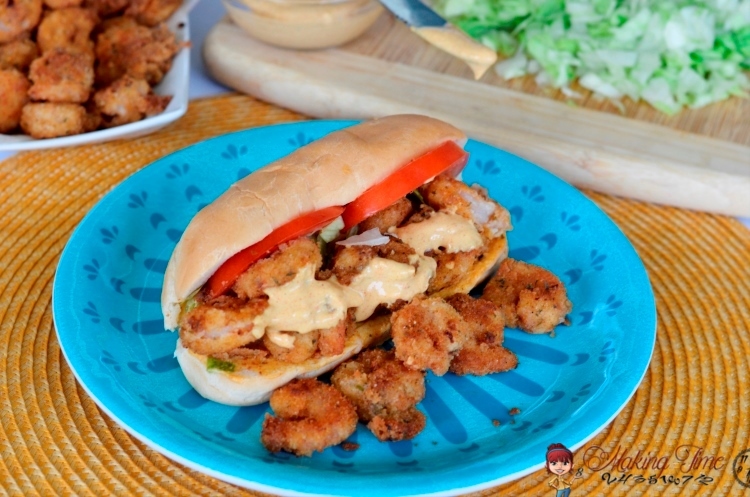 Have you tried these Cajun Style Shrimp Po’ Boys + Remoulade Sauce? I’d love to hear what your taste buds think! Oh, this is calling my name. I could just drink that sauce, lol!